Anti-fracking rallies outside County Courthouse in Boulder, Colorado. 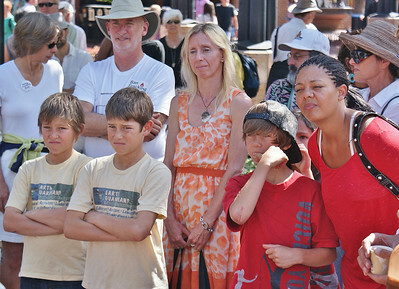 Images of protesters with signs, including children and adults as well as activists speaking from podium. 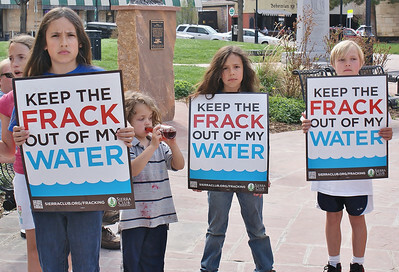 Six young children standing in a row, holding signs about fracking and water safety, at protest. 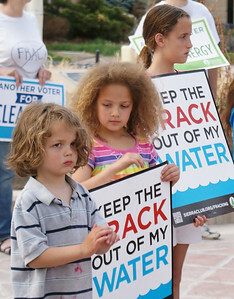 Young children holding signs, "Keep The Frack Out Of My Water" at protest. One drinking from a bottle, something spilled on shirt. 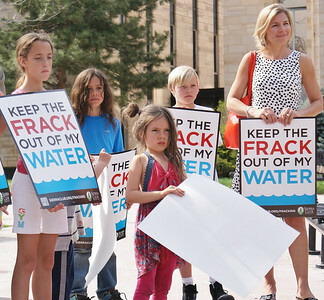 Young children and woman holding "Keep The Frack out Of My Water" signs at demonstration. 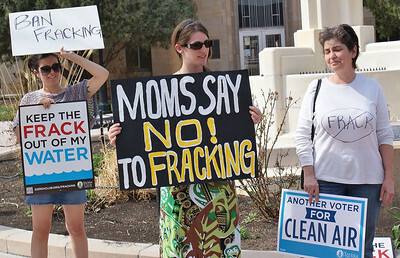 Woman in brightly colored dress holds sign, "Moms Say No To Fracking" at demonstration, other protesters beside her. 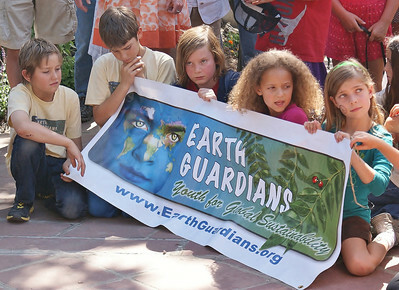 Young children holding large "Earth Guardians" banner, sitting and listening to speaker at rally. 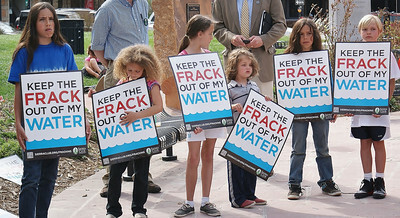 Young children with anti-fracking signs at protest. 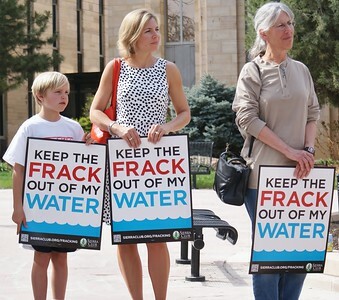 Two women and young boy holding anti-fracking signs at demonstration. 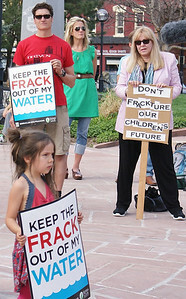 Young child holds anti fracking sign at protest, adults behind her with signs. 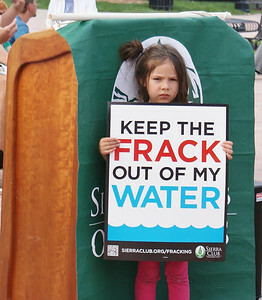 Young girl standing in front of wooden podium, holding anti-fracking sign. 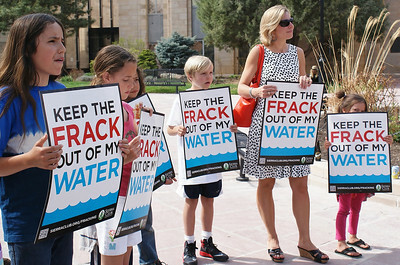 Three anti-fracking protesters hold sign about water safety at demonstration. 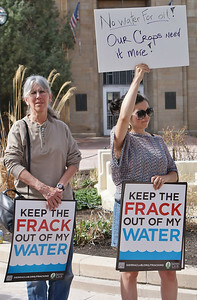 Two women holding sign about fracking and water at protest. 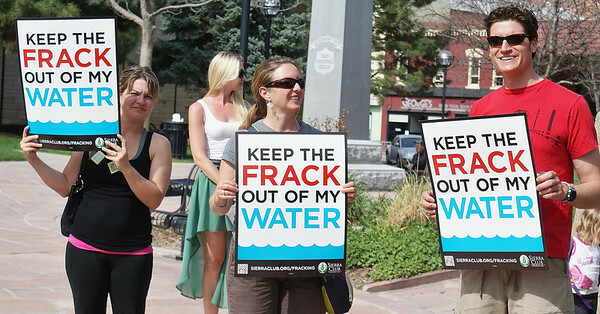 Two senior women at anti-fracking protest, sign behind and above them. 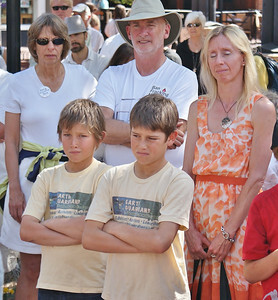 Twin boys wearing "Earth Guardians" shirts, standing at anti-fracking demonstration, other protesters beside them. 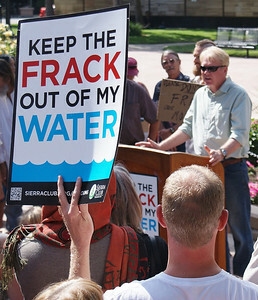 Man speaks from podium at anti-fracking rally, crowd of people listening, in foreground one protester holds sign in the air. 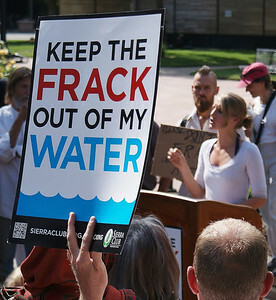 Young woman speaks from podium at anti-fracking rally, crowd of people listening, in foreground one protester holds sign in the air. 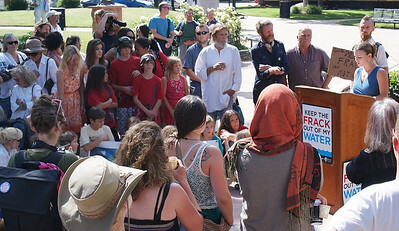 Young woman speaks from podium at anti-fracking rally, crowd of people listening. 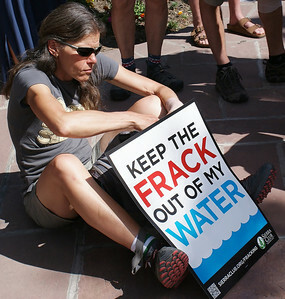 man with anti-fracking sign sits on pavement at rally. 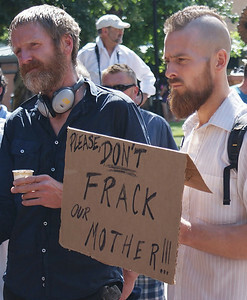 Young man with mohawk haircut holding anti-fracking sign at protest rally. 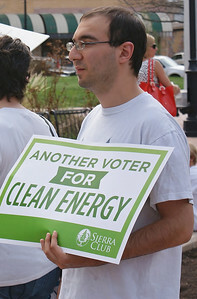 Young man holding sign supporting clean energy. 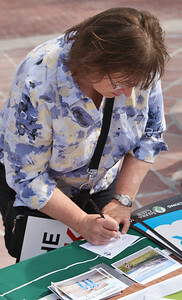 Woman signing petition against fracking, at protest in Boulder,Colorado.